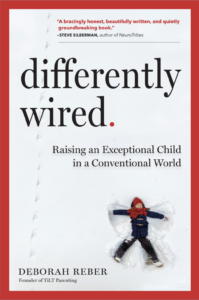 One of my favorite parts about producing the TiLT Parenting Podcast is that I get to learn about fantastic resources devoted to supporting parents raising atypical kids in a powerful, tangible way, like Understood.org. Created to give parents information, access to experts, strategies, and a plethora of free tools, Understood focuses specifically on what they refer to as “learning and attention issues,” which includes everything from dyslexia and dysgraphia to ADHD and ADD, as well as a number of learning and attention issues that may not have a definitive diagnosis but still impact a child and the way they perform at school and beyond. In this week’s episode, I talk with one of the site’s experts who has been involved with Understood from the very beginning, Amanda Morin. Amanda takes us behind the scenes of how Understood was developed, tells us about its mission, shares her favorite tools for parents, and explains how parents can make the most out of tapping into the free resources online. About Amanda: Amanda Morin is a parent advocate and former teacher. She worked in classrooms and as an early intervention specialist for 10 years. Since 2007, she has been working as an education writer and, more recently, as a parent advocate to empower parents and affirm the pivotal role they play in their child’s education. Amanda is the author of 3 books: The Everything Parent’s Guide to Special Education, The Everything Kids’ Learning Activities Book and On-the-Go Fun for Kids: More Than 250 Activities to Keep Little Ones Busy and Happy—Anytime, Anywhere!